The G.O.A.T. 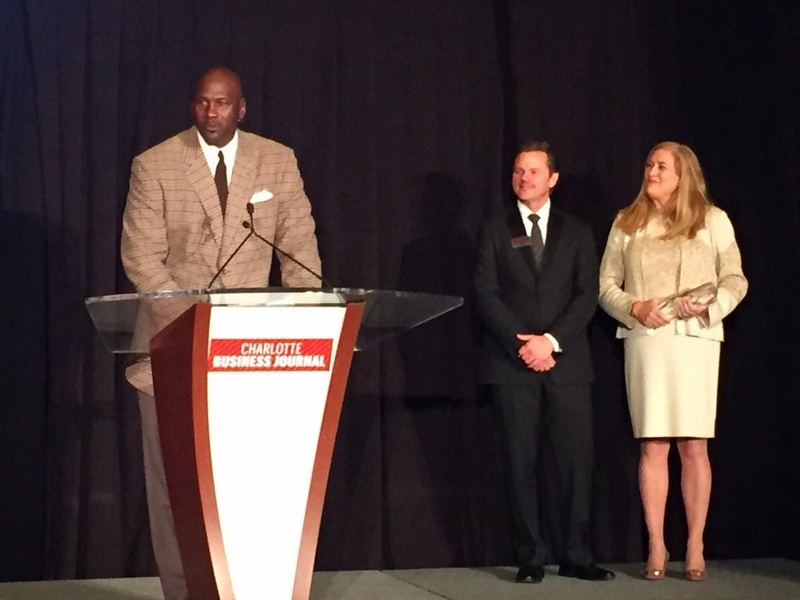 and Charlotte Hornets team owner Michael Jordan delivered an emotional speech last evening when he accepted the Charlotte Business Journal Business Person of the Year award. In his nine-minute-long remarks, he spoke from the heart--wiping tears from his face--and made you feel proud to live in Charlotte and North Carolina, saying specifically that when he bought the team five years ago it gave him the chance to come home. We all know that M.J. was raised in North Carolina and went on to be a college star at UNC, but he admitted that many people will always associate him with Chicago, understandably, because it was his years and accomplishments with the Bulls that made him a household name. But he elaborated on his many ties to Charlotte, one of which was that his parents moved to the Charlotte area when he got drafted by the Bulls in 1984, and was something I didn't know. Luckily, someone recorded Jordan's speech and has posted it to YouTube, which you can watch below.